Can you please ensure your child brings a PE kit to school every Monday or on the days when they have a lesson (shown below). It is important that children change their clothes for PE so they do not damage their school uniform. It also encourages a healthy lifestyle. PE kit could be a T shirt, suitable footwear like trainers and shorts, leggings or tracksuit bottoms. Monday – Miss Griffiths, Mrs Chaplin, Mrs Davies / Mr Lyne. Tuesday – Mrs Yasseen, Mrs Oxley / Mrs Shaukat, Miss Griffiths, Mrs Hill / Mrs Garbutt. Wednesday – Mrs Chaplin, Mr Murray, Mrs Bruce-Hillman, Mrs Wadsworth / Mrs Gregory. 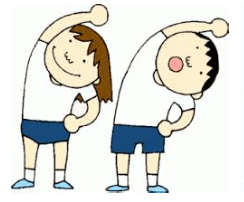 Friday – Mrs Bruce- Hillman, All Y3/4 PE or swimming. A reminder that children should not come to school eating chewing gum or have any in their pockets, bags or packed lunches. This also applies when children go to sporting events or on class visits. If children do accidently bring chewing gum to school they should give it to an adult and it will be returned at hometime. Children who do bring chewing gum to school will lose a break.